Posted on November 26, 2012 by Michelle M.
Today is the birthday of Charles M. Schulz (November 26, 1922 – February 12, 2000), creator of the Peanuts comic strip. This entry was posted in Starring Roles, That's Better and tagged budgie, Charles M. Schulz, Cooper, parakeet, peanuts, Snoopy, That's better, Woodstock by Michelle M.. Bookmark the permalink. How did you make this! It is very cute and must have taken a lootttt of time. Just found your site and I must say it is amazing. Yes, I’m a fellow bird lover. Thanks! I used Paint.net. It didn’t really take long at all because Woodstock is so tiny : ). Cool! I have never heard of paint.net before! Do you have to pay to use it? Thanks for all your help. Cooper owns everything. 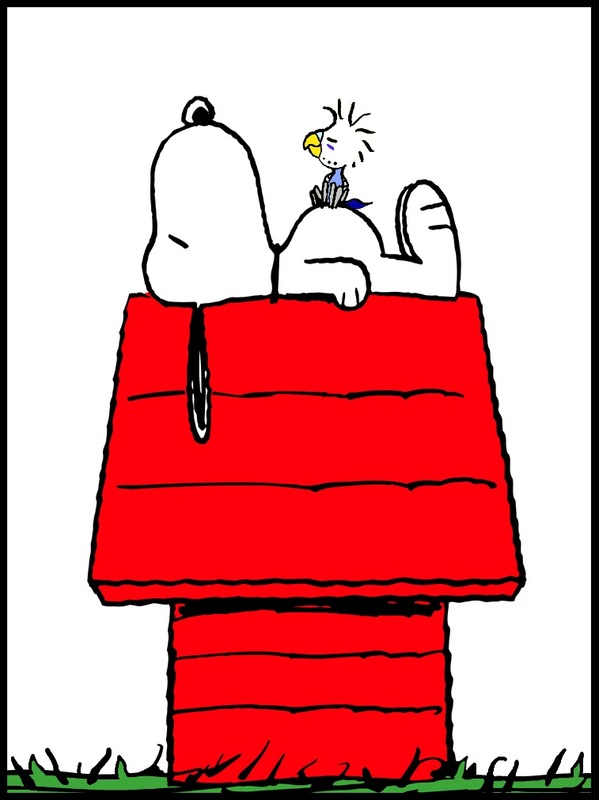 Including Snoopy.